In the two months since those first days of turmoil here in Nicaragua, our teachers and staff have seen with their eyes what a place of LIGHT the Lord has created Club Esperanza to be. When school ends every day, the children do not want to go home because it is safe at the Club. We had a prayer service with Mother’s of our students and cried out for Nicaragua. The Holy Spirit fell and overwhelmed many of the mother’s with hope, with joy, with peace that destroys fear. These past two weeks have been even harder for four of our teachers as deadly violence has been happening in the street right outside their homes causing crippling panic, but they come to the Club the next morning. We have had government workers inquire as to why we are still open, what are we doing, whose side are we on. We are on Jesus’ side, we know that in the middle of such dark times the Light of the Lord shines and helps people in need. Please remember to pray everyday for Club Esperanza. The 300 children and their families that we serve need your constant prayer. And please keep praying for Nicaragua! Pray that the Club remains a safe place of peace for anyone who comes inside the walls. Amen. The threat of a prolonged national strike is out there. There has already been a one day strike. If that were to happen our teachers are very worried about running out of food as most live from paycheck to paycheck and can not stockpile. We are working with our friends the Booths and the Ohrans to create an “Emergency Provision Pack” that would last a family of six for fifteen days if a strike were to happen and the nation shut down for a longer period of time than one day. Please check back with us in the next few days as we are trying to be thorough and get an accurate list of non perishables needed by most families, find out what is available, and price the packs. We hope to have it done by the end of the week. We are asking Jesus to bless this project and bless as many lives as possible. We plan to start with our staff at Club Esperanza and go from there…please check back later! 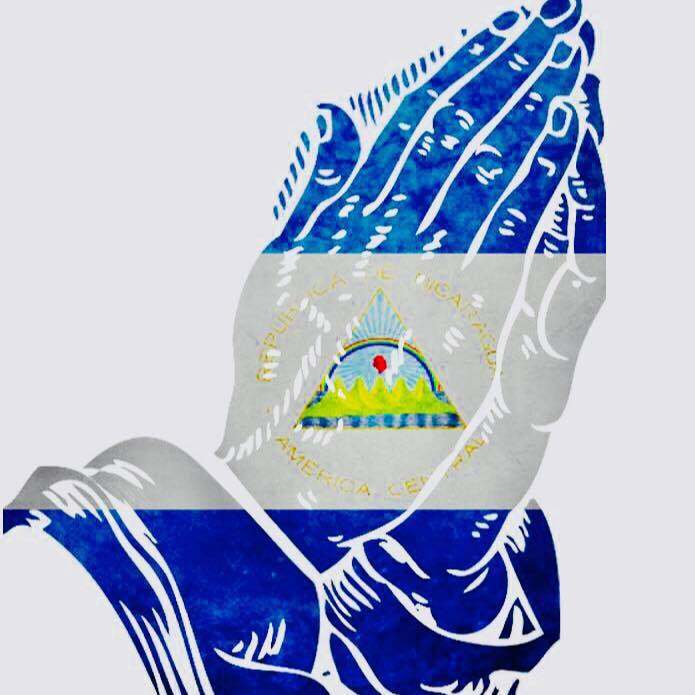 Political Unrest…please pray for Nicaragua! Some of you may have heard on Facebook or seen in the news that Nicaragua is in the middle of some pretty serious Political unrest. We want to let everyone know that we are all ok and nothing has escalated to a very dangerous level for most people. School was cancelled for Friday on a national level but we have had not other ill affects so far. There are however protests going on in downtown Managua that have turned violent. So, we are avoiding those areas. The U.S. Embassy is keeping its advisories updated on Facebook. We are staying close to home and keeping our ear on things. 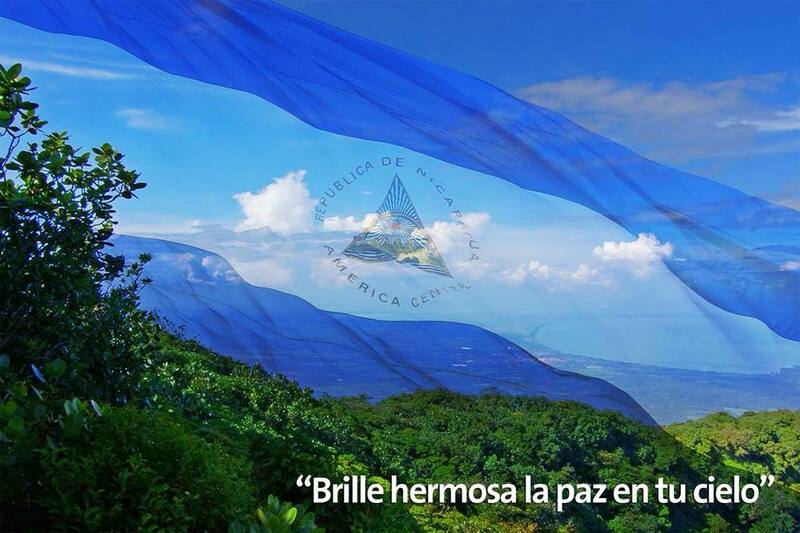 Please pray for Nicaragua! Here is our understanding of what is happening. Univision, Washington Post, ABC News, Rueters and others have covered the story and I assume others will. Using a google search for Nicaragua Protests should return current stories. We are praying for everything to be resolved peacefully. We are asking God to bring justice and truth to the situation and nation as a whole. During Semana Santa vacation this year at Club Esperanza our friends from Love, Light & Melody held their annual event called “Dia De Luz” (Day of Light). This year’s timing during Easter Week made it all the more fun for the community. All of the children were on vacation from school for the week and didn’t really have much to do besides sitting around in the scorching heat. But not this year…it was a big Ol’ Fiesta at Club Esperanza! The team came equipped to the lead the children from the neighborhood in a variety of activities focused around the arts. There was live music and a chance to pick up your own instrument and join in. Krista’s sisters Hazel and Johanna got to go down and help lead the dance classes. Particularly they got to teach younger girls on the ways they can worship the Lord through dance in church. There was also a chance to do some pretty cool art work! It was so much fun…all of our kids has an absolute blast! There was also WATER BALLOON FIGHTS!!! Brad Corrigan is the founder of Love, Light and Melody, but he is also a musician who is member of the band Dispatch, who are gearing up for a summer tour throughout the United States. 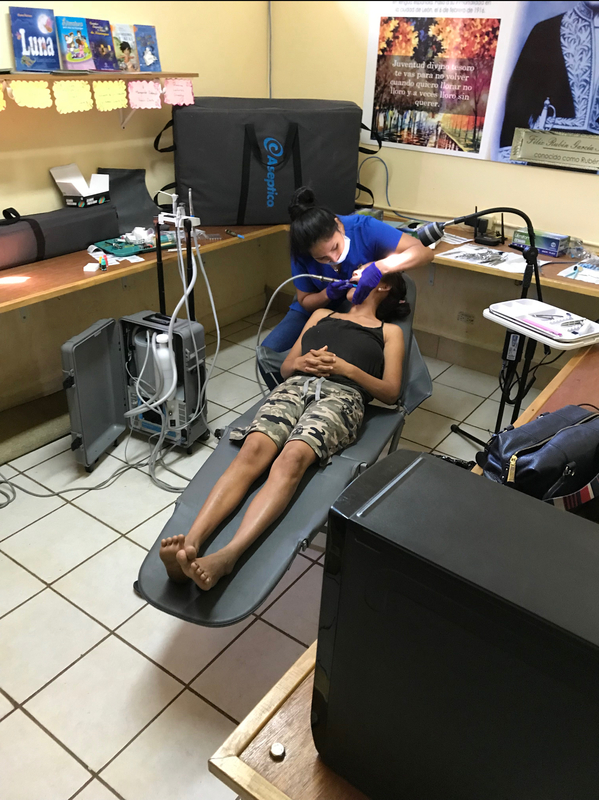 Brad’s love and dedication to Nicaragua and alleviating suffering amongst vulnerable children here is a real encouragement. It is a great testimony to the heart the Lord has given Brad. 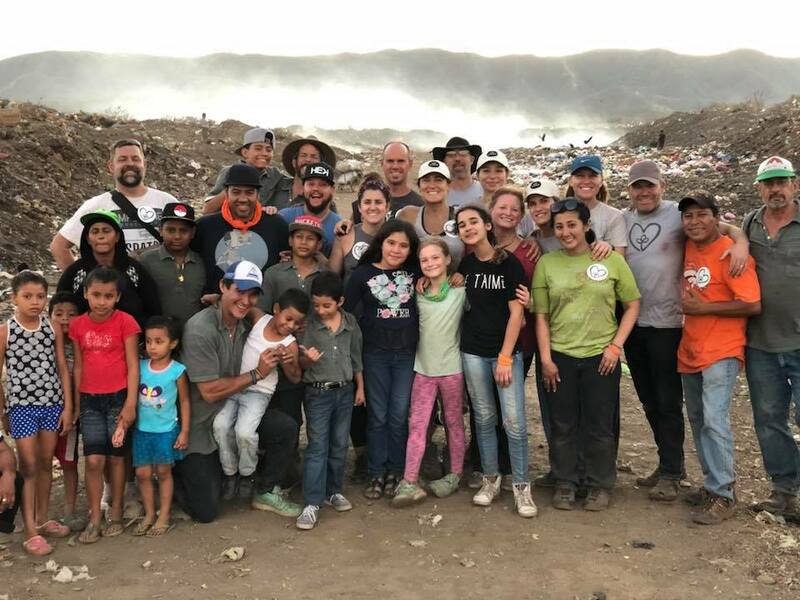 With that heart, the team made the journey down to Nueva Vida land fill to give a concert and bring some of God’s love and light to the people living there. It was a great finally to the weekend at Club Esperanza, and it was such an encouragement to see some of our kids from the Club performing on stage! Our kids were so blessed by this week! We appreciate your continued prayers for all of them as they come back to school from vacation! Please pray for and support Club Esperanza! 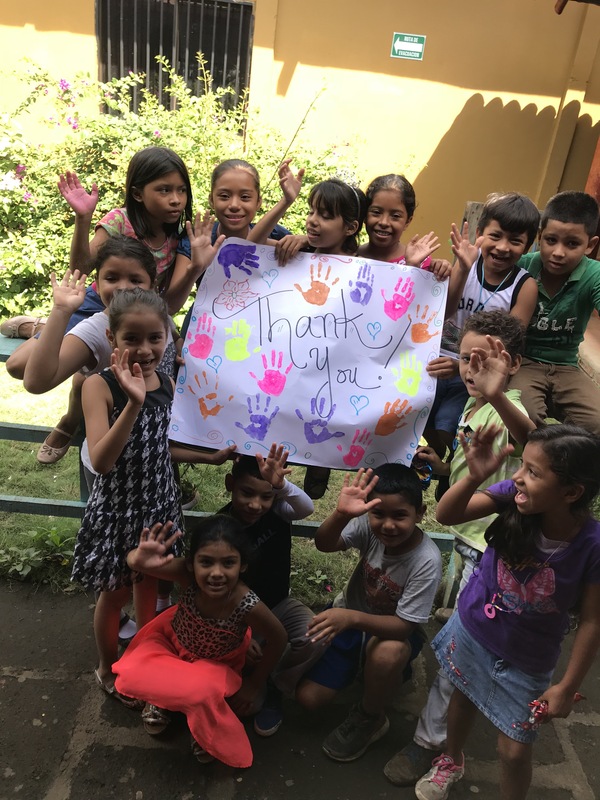 God Bless from Nicaragua…and a big thank you to Love, Light and Melody! This year we have Early Childhood Education, Elementary School Classes, Elementary School tutoring, High School Tutoring and our High School Scholarship Program. Additionally we have Lacrosse The Nations Athletic Program, Music Class with Jordan, and Bible Study with Michael & Rocio Booth. Every child also receives two meals a day, amen! Much more will be going on as well with all these beautiful children and young people God put under our care this year. We are praying for a blessed 2018!!! We shared a blog recently with information about how you might support the school financially. As you pray for us please consider this as well…. A $25 monthly donation supports one child for the year. (you can do recurring donations via paypal). If 300 people committed, we could fund Club Esperanza for the year! Now, we do know that 300 people is probably everybody we know LOL! So it might be a little unrealistic. But with everyone we know, and everyone YOU know maybe we can get there?!? So, please share our blog and help if you can…Thank you and God Bless from Nicaragua! Here is the link to the Facebook live video…there is a lot in there, but you can get a good view of the classrooms and dining hall as well as some of the surrounding neighborhood at the end of the video. Also, the future site of our six classroom education building that we are praying for God to provide…we have the land just need the building 🙂 We are so very blessed by your interest in what God is doing in Nicaragua! We hope the year has turned over well for you and your family. As 2018 kicks off we want share a huge way you can help our ministry financially this year. Club Cristiana La Esperanza is one of our major ministry centers with Open Hearts Ministries. We are able to have a large impact on so many families’ lives and we love that! But to keep it operating we need partnerships from individuals and organizations. The Club is a beacon of light in a community that is full of darkness, strife, and difficulty. Everyday, 275 children come to Club Esperanza. The Club is a day to day ministry center, and the children are our focus. With everything centered around Jesus and God’s love for them, we provide early childhood and elementary education; middle school and high school tutoring; and a feeding program with two meals a day for every child. We also do a number of extracurricular activities like Bible study groups, Club for nursing and pregnant mothers, Lacrosse, Guitar class, outreach to children with special needs, art class, dance class and much more, if you can imagine! 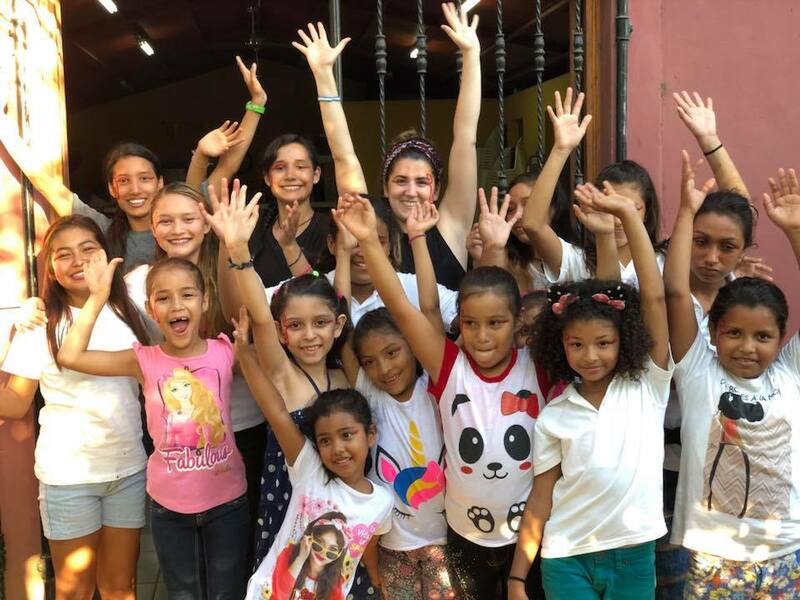 Would you please consider supporting Club Esperanza in 2018? A classroom of 30 students costs $750 a month to operate. Here are some fun photos from our 2017 Christmas Party and Graduation ceremonies…as you look through them please pray for all of these precious little ones. Nicaragua has a great future and we are working to make an impact! One of the things we love about Club Esperanza is that it is not only an education center and a feeding program. It is a place where we can serve the community in lots of different ways. It is actually a sort of Basecamp for the light of Jesus to shine! 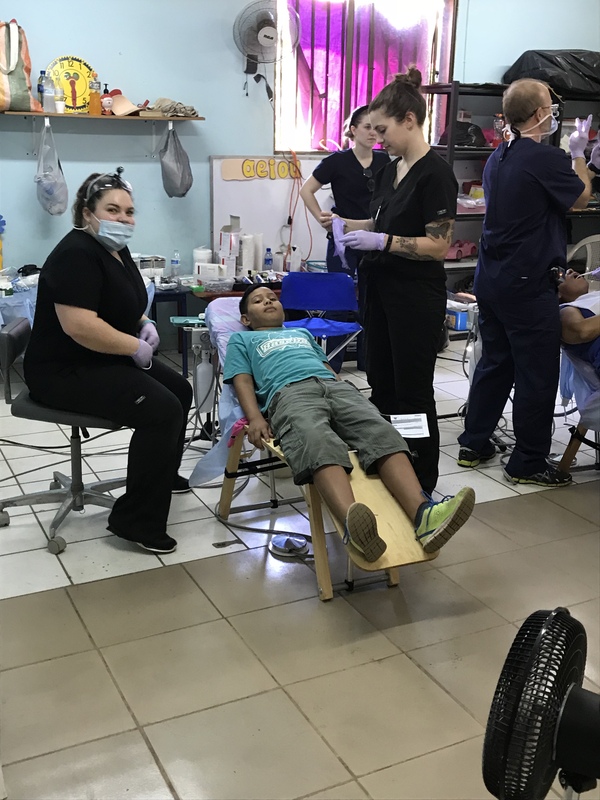 This past weekend while all of the children are still on vacation from school, our new friends from Hearts Hands and Smiles put together a dental clinic. After they served the children in the community that needed attention, they opened the doors to serve anyone else who needed help. Praise the Lord for that! If you have ever personally had a tooth that needs work, you know what a huge blessing this weekend was. 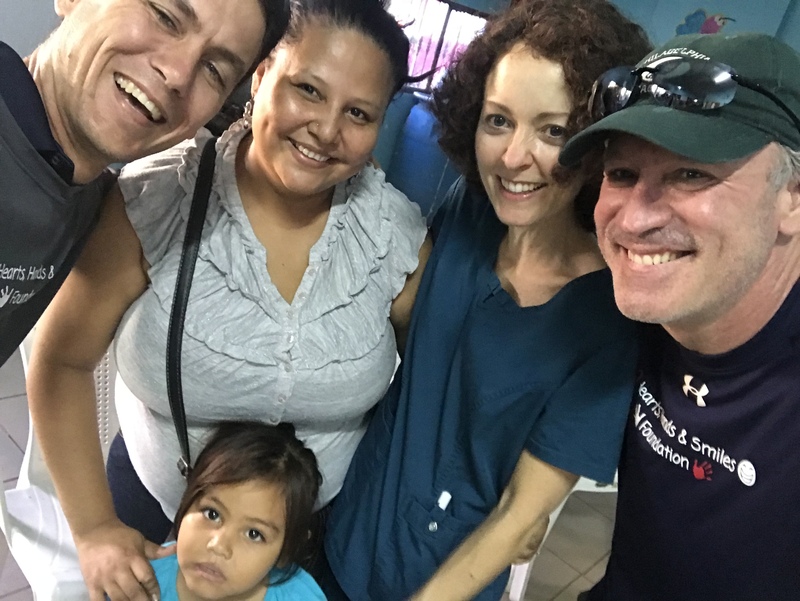 Our staff at Club Esperanza had such a great time with them…and the clinic was a huge success! Please email us if you ever have an interest in putting together a clinic or something similar that could bless the people here in Nicaragua! And we appreciate your continued financial support that keeps Club Esperanza open. This last picture is fun. Some of you may remember Daniela who lived in Casa Havilah for a number of years when we first opened the home. Well she came to the clinic with her cute little baby girl. It was fun to get to see her. God is good!